﻿ Do opossums pose a threat to pets such as cats and dogs? If you look at an opossum, you may see it as harmless and innocent, but they can actually be a danger to pets. These pests look like big rats, but they aren’t as innocent as one may presume. They can threaten almost everything in your household. They have 50 teeth and they are very sharp. An opossum isn’t that harmful to humans physically as they can be easily intimidated. The opossum may not bite when it comes into close proximity with humans. It is possible to scare them off using a stick and they will scamper to safety. It is, however, advisable to stay as far away as possible from opossums because sometimes they can choose to fight back and cause possible harm. When an opossum comes face to face with pets, it is normal that thy will feel threatened. It is an animal instinct to attack others when the range becomes too close making them feel very insecure. You need to know that the animal may attack to guard its own safety. This means that when you find an opossum attacking a pet, there is a very great possibility that the pet actually started the fight. If you have an opossum issue around the home, you need to handle it immediately. This will eliminate the risk of an encounter with your pets. There is something that makes opossum so interesting, and that is their ability to play dead. This is something that is done to avoid any kind of predator and human encounters. One of the things that have been shown in different studies that have been carried out is the fact that the animal is not in control of this playing dead situation. The brain triggers this act and then instinct allows them to do this. This is a very smart move. This is done in the hope that the opponent they are facing will simply leave them alone and refrain from attacking. They can remain in this state for some minutes. The only danger that they face is if they play dead in the middle of the toad. They may get ran over by oncoming traffic and be dead for sure. Usually, when the animal comes face to face with an intimidating creature, it will play dead so as to avoid a fight. This becomes much easier for a human dealing with the relocation of opossums. You can safely transfer them into a cage and take them to new surroundings. 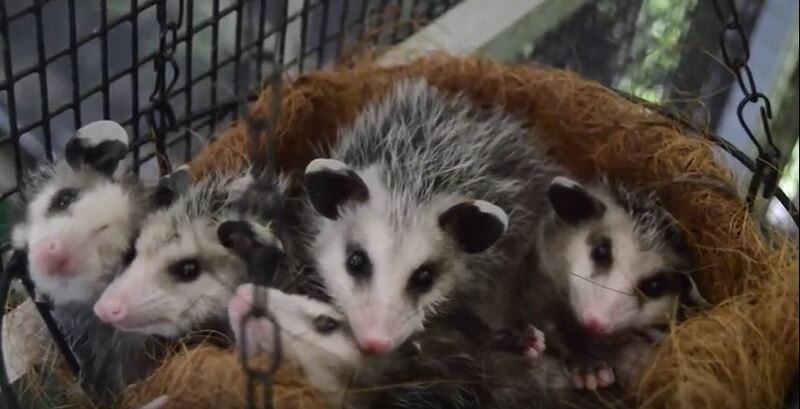 Go back to the How to Get Rid of Opossums page or email us if you have any other questions about Do opossums pose a threat to pets such as cats and dogs?